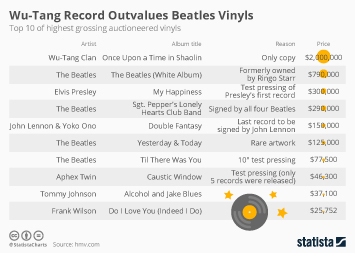 Vinyl resurgance, style over substance? 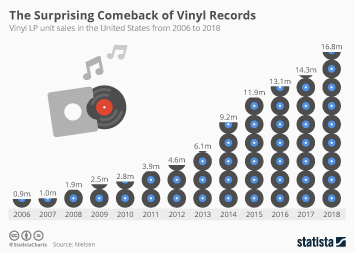 Vinyl is on the rise again. 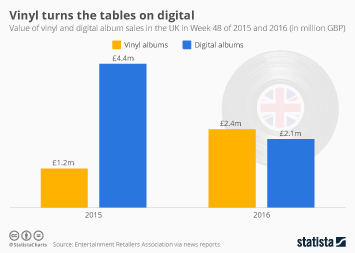 When the analogue medium was ousted by more modern storage carriers like the CD or mp3 files, Vinyl sales hit rock bottom. 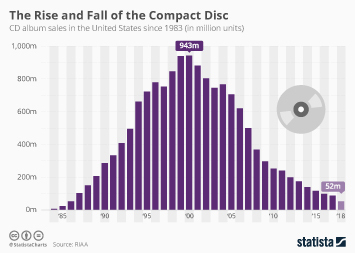 But in recent years the black discs have experienced a Renaissance. 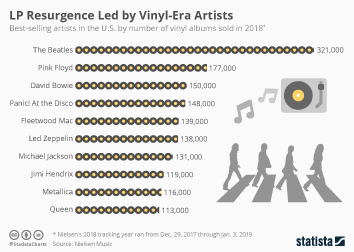 Year after year, sales are piling up and especially the young generation has a growing interest in buying and collecting vinyl. 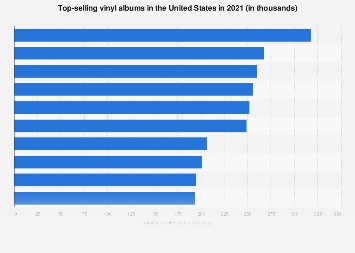 The hype even exceeds the total manufacturing capacities left in the vinyl industry. 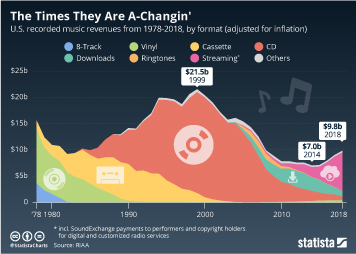 The introduction of the compact disc rendered vinyl manufacturing machines obsolete with most of them disassembled and removed. 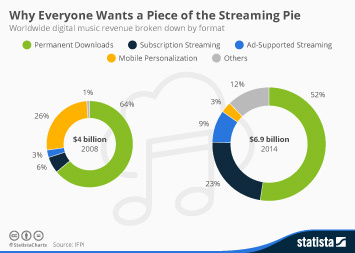 But why are people buying vinyl when streaming is a much more convenient and mobile way to listen to music? 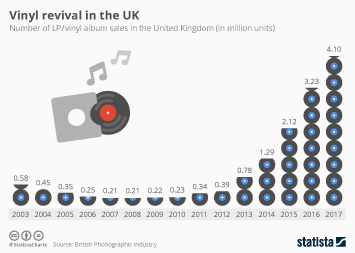 Well, Hi-Fi lovers swear by the superior sound of phono records but there are other reasons for more casual buyers. 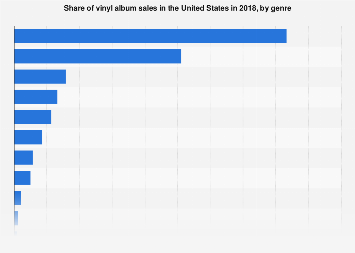 As this graph shows, half of the people buying vinyl do not even listen to them. 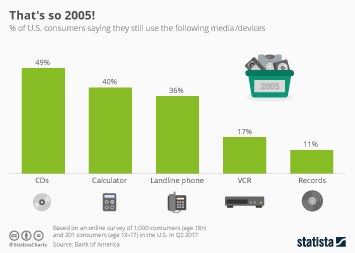 In a study published by BBC and conducted by YouGov, some people stated that they just use the LPs’ artworks as room décor. 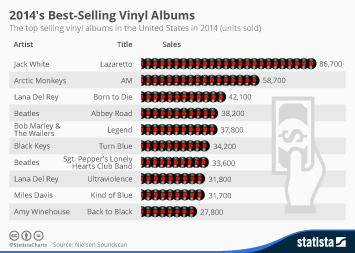 Others just bought the expensive plates to support their favorite artist with no intention of listening to the album on an analogue medium. 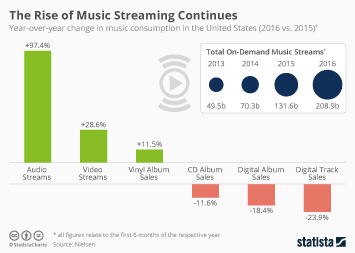 However, 45 percent of the respondents report that they stream an album before making a decision on whether to buy it on a long player. 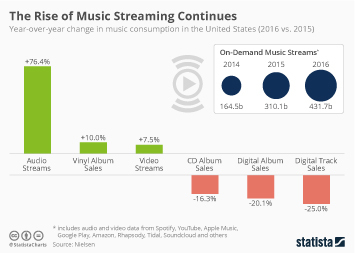 This graph shows the distribution of vinyl buyers by turntable ownership and usage.